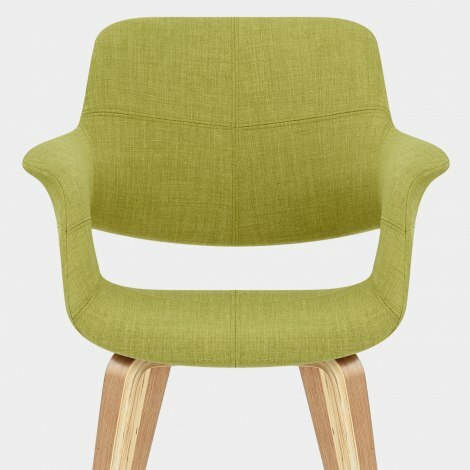 Fusing past and present, the Lloyd Dining Chair Oak & Green is a trendy retro model that is not to be missed. Instantly refreshing your kitchen or dining room, the Lloyd is a fantastic design with a modern versatility that will complement many spaces. 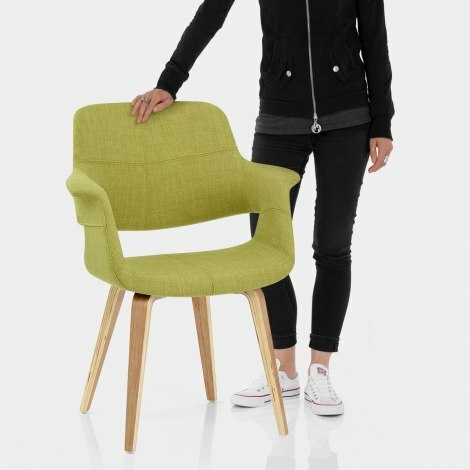 Upholstered in gorgeous green fabric, the comfortably padded seat boasts a chic segment gap in the backrest along with stylish stitched detailing. 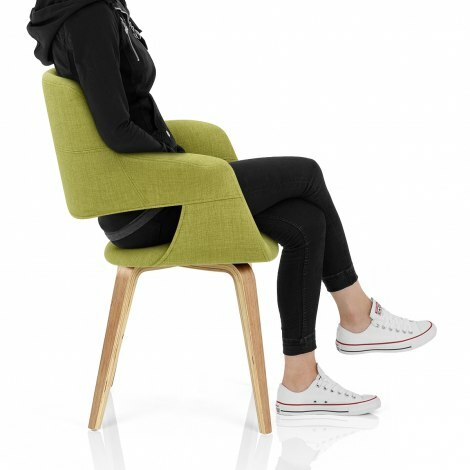 With a smooth curved design, the encompassing armrests encircle the body for that feeling of support. Set on a solid wooden frame, the four bentwood legs display a natural oak finish that contrasts beautifully with the vibrant fabric of the seat. Full of character, the Lloyd is completed by protective plugs to help minimise damage to floor surfaces.